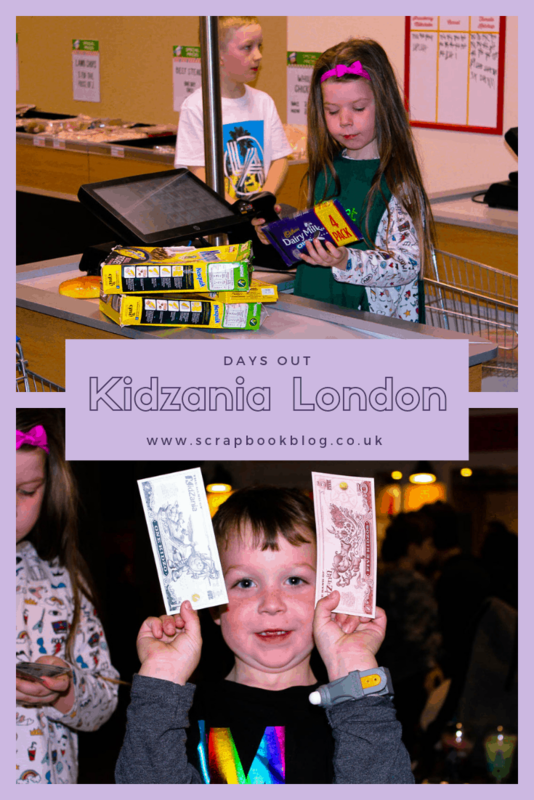 On Saturday we spent the afternoon at Kidzania [via gifted press tickets] which is a city run by kids located in Westfield shopping centre in London. Confused? So were we until we arrived and experienced it for ourselves! 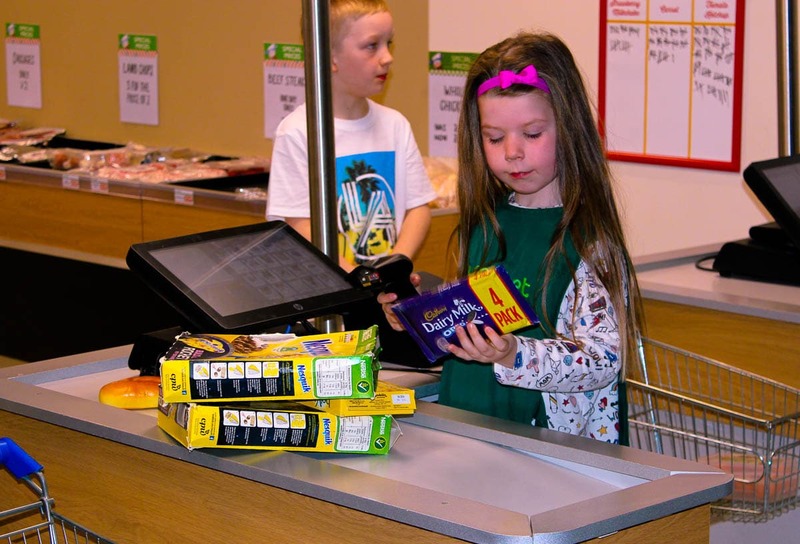 Basically kids from 4-14 can try their hand and loads of different jobs by role-playing, earning money as they go which can then be exchanged for experiences or in the shop for actual goods at the end of the day. Each session lasts for four hours – which may seem like a long time but it flew by once the kids got going with all the different jobs, and there are 75,000 square feet to enjoy, spread over two levels. The check in process is the same as for a flight, you queue up, check in at the desk and each member of your party gets given electronic wrist bands – which group you together and mean that kids can’t leave without the adults they came with. 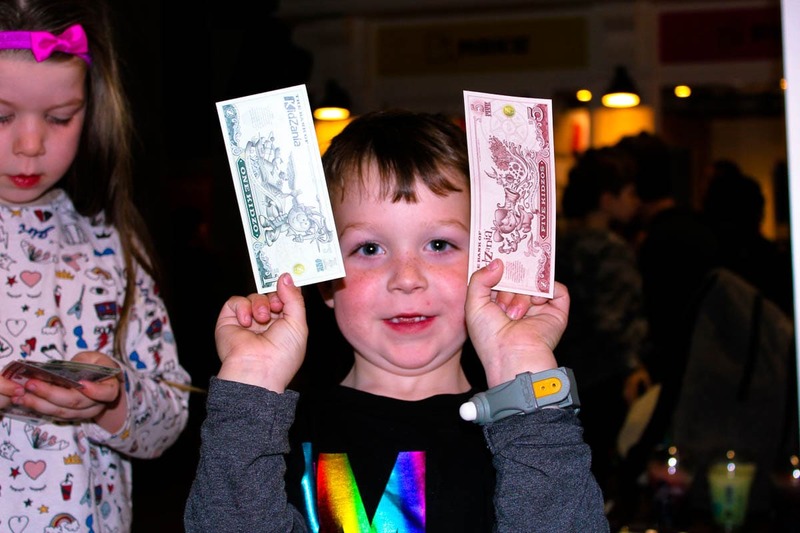 The kids were also given their ‘Kidzos’ which are the currency of Kidzania. 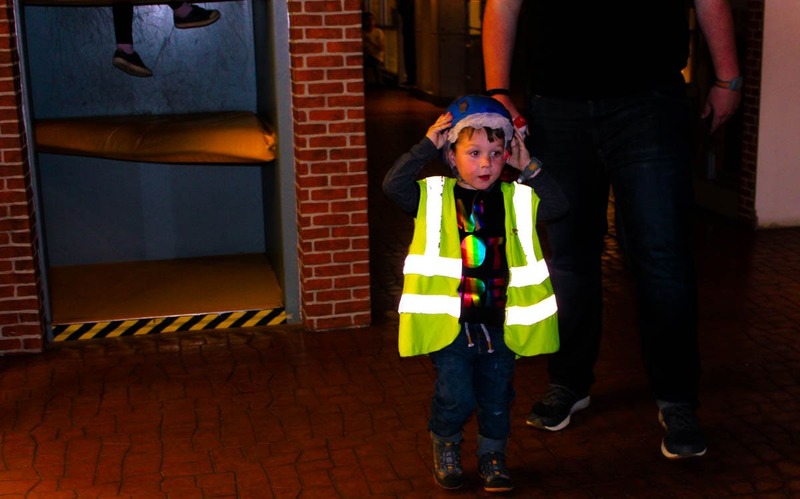 Once you go through into Kidzania you can leave bags in the locker area which starts at £3 – we had a backpack each and filled a medium sized locker which cost £4. 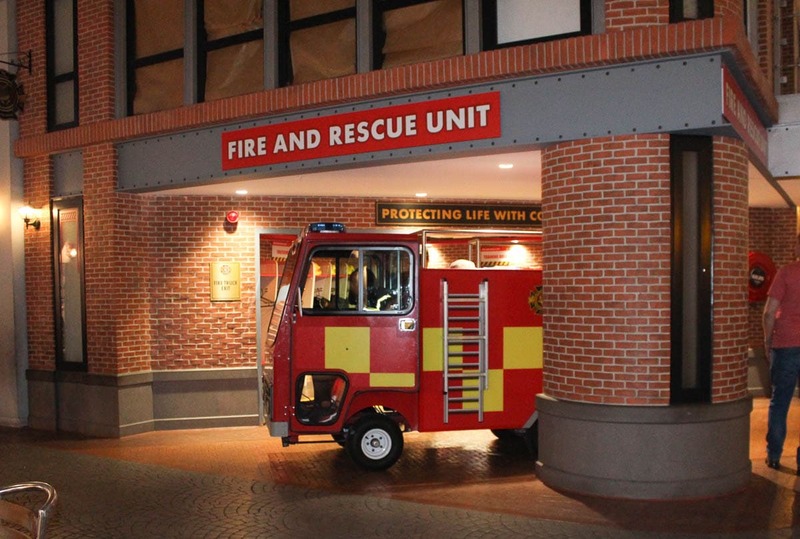 What is there to do at Kidzania? Other things they could have tried were being police, ambulance or fire fighters, working in a radio station, piloting a plane or being cabin-crew and SO much more! It would be impossible to do every task in a four hour session, and if your kids were really keen on doing some specific tasks then it would be work planning your visit round those as a priority. You can save all your Kidzos up, either depositing them in a ‘bank account’ or spending them on the more popular experiences. There were photographers snapping away at many of the experiences, and you could then view these photos and purchase them in various formats after your visit. As well as the regular activities there are often special events and fixtures, this Easter there is Yoshi’s Easter Egg Hunt in the school holidays (8th April – 14th April) to celebrate the launch of Yoshi’s Crafted World on Nintendo Switch. Kids can go on the hunt for Yoshi’s eggs and once completed they get 10 Kidzos plus a chance to win Nintendo prizes, including a Switch or a 12 month family membership to Kidzania London. Nike’s Department of the Unimaginable have also set up shop and will be at Kidzania until the 5th May. The Nike DOU Agents have set up a lab to help gather ideas from kids who want to help shape the future of Nike Air! Kids aged 8+ can learn about how Nike invented and designs Air Max, which the chance to win a trip to Nike HQ in the USA buy submitting their own designs! WWE WrestleMania 35! 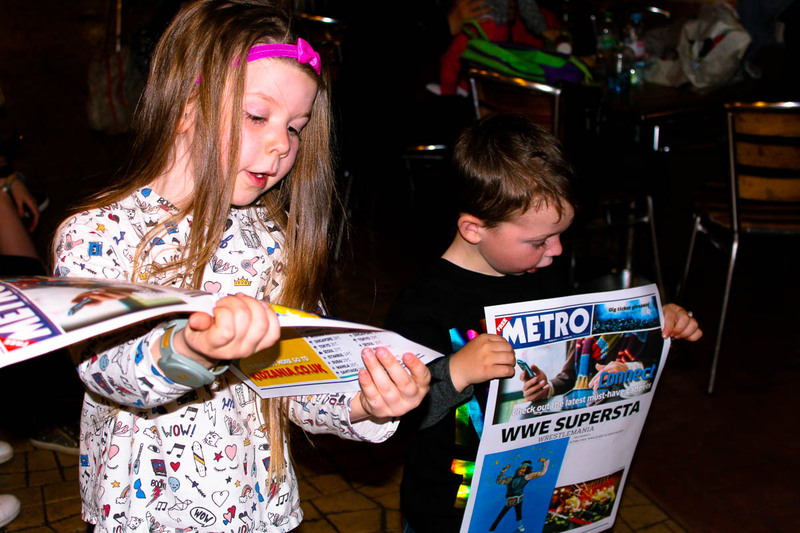 From 30th March – 22 April Kidzania is encouraging performers to create their own Wrestlemania Superstar post in the WWE Academy ring, journalists are reporting on the event, radio presents are shouting about it too! In the KidZania theatre, WWE fans will have the opportunity to create a live show, experimenting with lighting, sound, costume and performances. Work with real cars as an energy champion at the Shell Forecourt, learning about both petrol and electric fuels, and can mix their own fuel to poser race cars around the track. 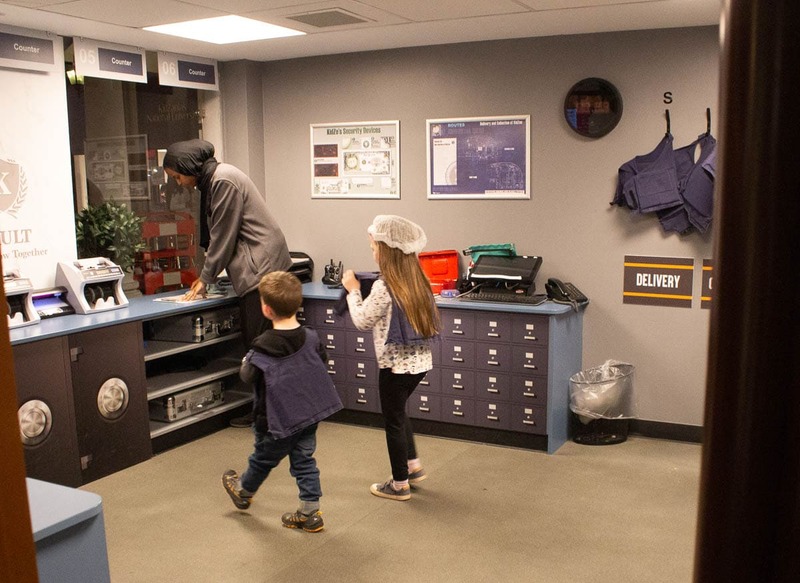 Children under 8 must be accompanied by an adult, but children between 8 and 14 can explore Kidzania London on their own as long as an adult checks them in at the start of their visit. As adults aren’t allowed in the activity areas there are plenty of seats outside on the ‘pavement’ for them to sit at to observe, as well as cafes, restaurants and an adults only chill out zone upstairs. They can also participate as audience members at the Theatre and Dance club, for example. It’s pretty hectic and can be quite loud – this didn’t phase my kids at all but might be a bit harder for kids with sensory issues to cope with. We were there from 2-6pm and it was much quieter for the last two hours. There are coffee shops and restaurants but the prices are a bit higher than they would be in the ‘real world’ – but this is in line with other attractions, but something to be aware of. Could anything be improved at Kidzania? 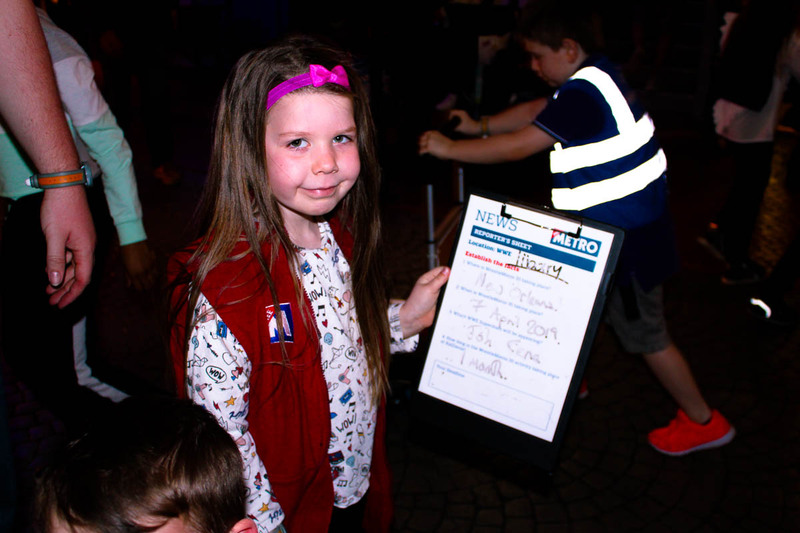 We could have made better use of the information desk as it was out first visit, so we knew what to do right from the start instead of strolling around working it out for ourselves, but this was our fault rather than Kidzania’s! There were tears on the way out as the selection of items that you can buy with Kidzos is pretty small compared to the gift shop selection and your Kidzos don’t really go that far much to Arlo’s dismay… I think stocks may have been running low. As far as I could see you could only buy an iron in Kidzania patch, and some other unbranded items. It would have been great if things like pencils, rulers, fridge magnets etc could be exchanged for Kidzos rather than just in the gift shop for actual money. Kids obviously need to understand the value of money, but it seemed a pretty harsh lesson to learn in that they had only made enough to buy a couple aeroplanes made out of foam at the Kidzos shop! Looking at the map I think there is a store inside Kidzania that we missed – and they might have had a better selection. Either way we still have some Kidzos left for next time! It’s also pretty dark in Kidzania, with no natural light – so you kind of lose track of the time with no windows to look out of, of course this didn’t phase the kids one bit. Would we go to Kidzania again? 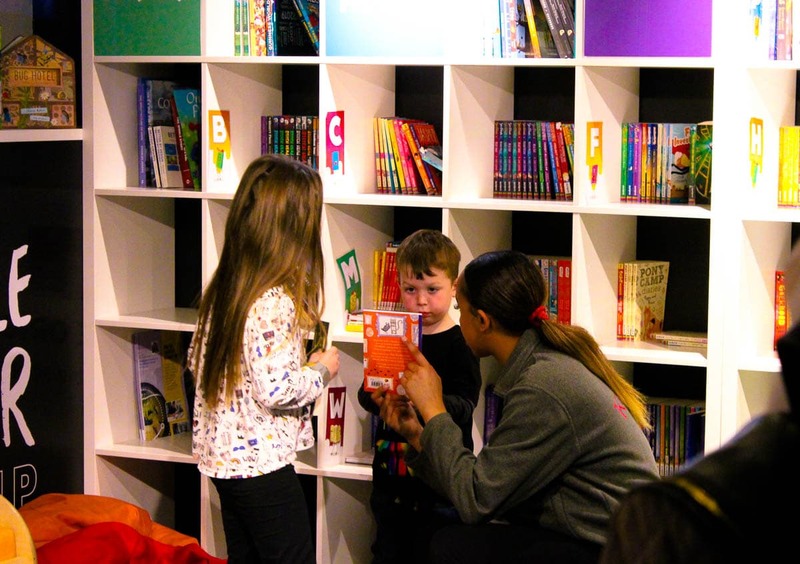 You can find out everything you need to know and book tickets on the Kidzania website, as well as find out about seasonal events. They also sell annual passes and gift vouchers, and they make a great experience gift for kids if you wanted to avoid buying them more toys! We were given a family ticket to enable us to experience and write this review. I love this idea – my kids are forever dressing up and pretending to be different people. They would love this, we’re in London in the June half term so will book it in for them! I have never heard of any thing like this. It seems a great way to introduce children to the world of work. We keep saying we need to go down here but just never find the time! It looks amazing! 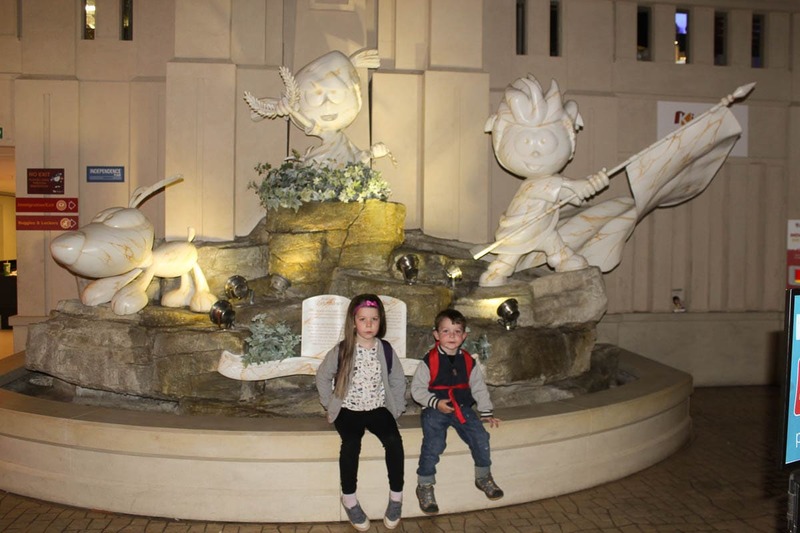 We love visiting KidZania, with three children in different age groups it really does cater for all. So pleased that your two enjoyed it, you could easily visit time and time again.